Jomblang cave Yogyakarta. Yogyakarta to Jomblang Cave takes 2 hours driving to geopark Gunung Kidul. Jomblang cave adventure was a nice caving adventure, a vertical cave with a surface diameter of approximately 125 m, and when you have hanging on the rope that stretched down towards the bottom of the cave, that's moments that you really enjoyed in our tour that very memorable adventure in your lifetime. Jomblang cave adventure. 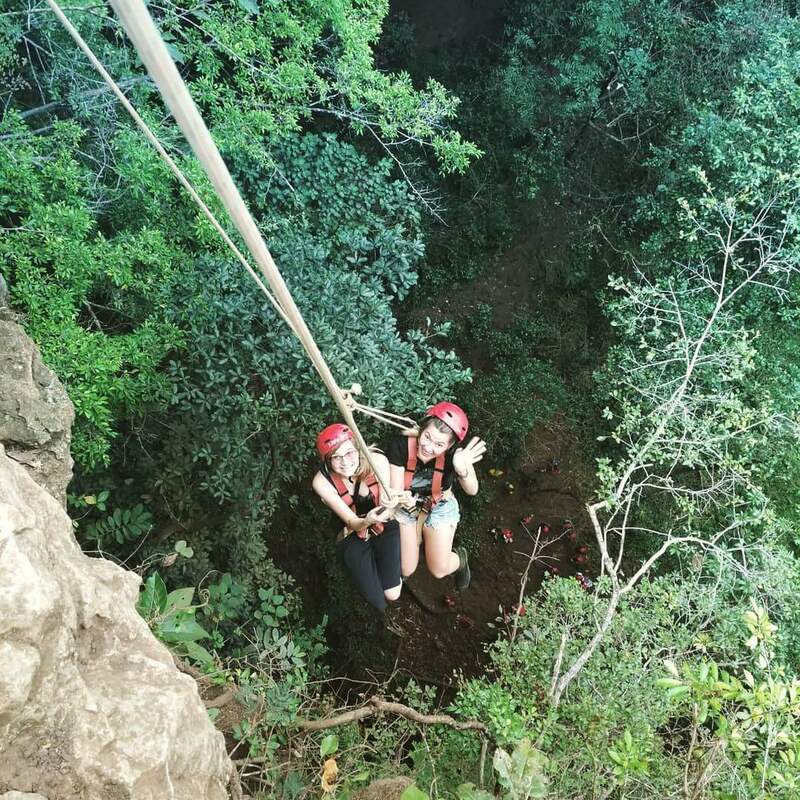 A kind yogyakarta adventure tour, knowing your freak and how to manage that to get light from heaven and enjoying the cave. 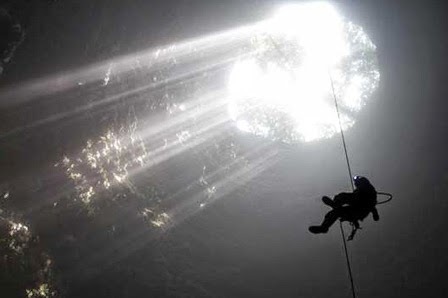 go down with lights "from heaven"
Jomblang cave adventure. The Jomblang cave is a cave vertical depth of 60-80 meters with dense ancient forests, with beautiful natural ornament, a place where you can see the light from the sky. Jomblang cave adventure is one of the hundreds of cave complex in Gunungkidul District, which became famous because of its uniqueness . This cave of geological processes occurring at the time of soil and vegetation disappeared into the earth a thousand years ago . 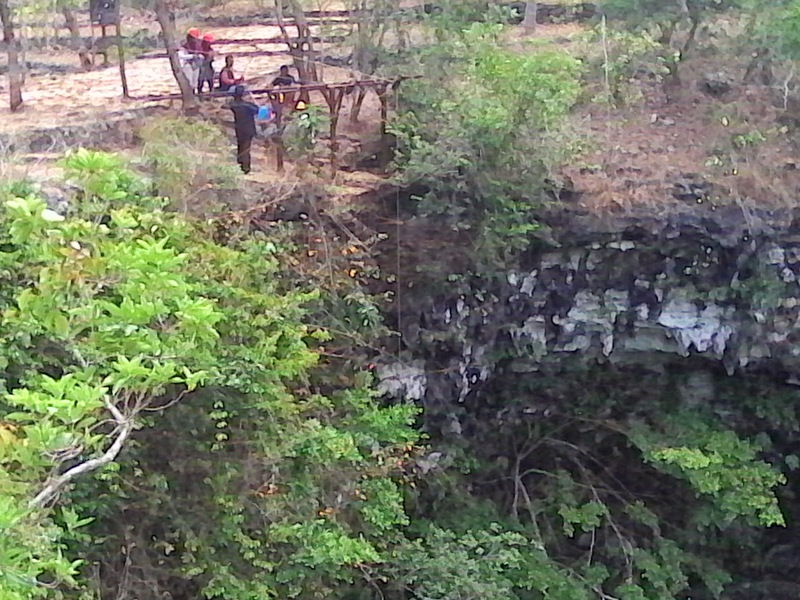 The ruins form a sinkhole, which in Javanese called pitting or Luweng . 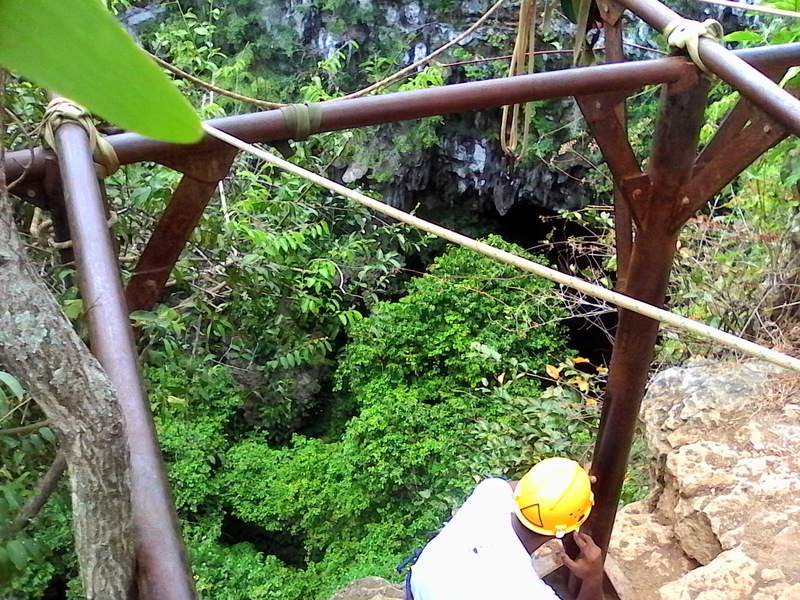 As a result, the cave which has a diameter of 50 meters which later was named Luweng Jomblang . 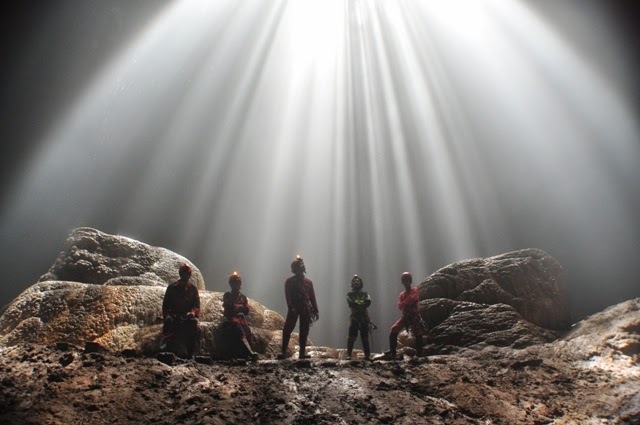 To enter Jomblang cave , we had to use special equipment safety standards based on the vertical cave caving in and also should be accompanied by an experienced guide of vertical caving. Special equipment eg coveralls, boots, helmet, and a headlamp, Jomblang guide cave will use the equipment in our body while explaining the name of each tool and its functions . Mechanical equipment consisted of a single rope seat harness, chest harness, ascender / Croll, auto descender, footloop, jammer, carabiner, cowstail long and short cowstail. The view in front when you go down was very spectacular. 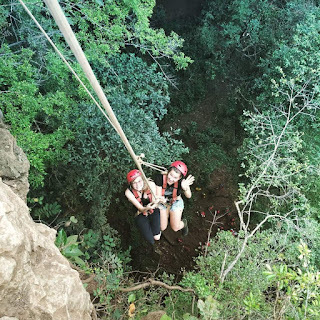 When we were on top, we just see a barren area with wood and when we were hanging on a rope to get to the bottom, we can only see the karst, but the bowl Jomblang cave we could actually see the lush green landscape and lush vegetation. Various sorts of mosses, ferns, shrubs, and large trees growing densely. A different forest vegetation of the land above the so-called ancient forest. Because the soil geological processes that occurred in the past that continues to grow until now. Jomblang cave. The best time to enjoy the beauty of the cave is at 10-12 am when the sun shines over our heads , so we can see light around the sun enters the cave with a more beautiful curves. Yogyakarta driver ATOk will manage your itinerary including for going to Jomblang Cave. Just send email to : aswoto69(at)gmail.com for we make kind disscuss.